Startup India Standup India is a campaign launched by the government of India to encourage startups of India means youths of India towards the entrepreneurship by supporting them through bank financing for more jobs creation in India. Startup India Standup India is a scheme launched by the Modi government on 16th of January in 2016. This campaign is planned to bring new opportunities for the youths of the country. PM Narendra Modi was talked about this campaign on 15th of August while addressing the nation from Red Fort, New Delhi. This initiative is to encourage the young entrepreneurs to greatly involve in the entrepreneurship for better future. According to the programme, around 1.25 lakh bank branches will encourage youth (at least one Dalit or Adivasi and one woman entrepreneur) entrepreneurs by giving them loan. This campaign will create new jobs for the people in India. Start up India, stand up India scheme is a mission launched on 16th of January in 2016 by the Modi government. This is a most effective campaign which will create more job opportunities to the Indian youths. Prime Minister Narendra Modi informed the country about this scheme in his speech on 15th of August 2015. This scheme will directly help people in opening their own successful entrepreneurship. PM said that there is no growth in the country without innovations and new opportunities for the youths. The complete action plan of this campaign has also been launched on 16th January by the government on the same date of its launching. This initiative has been planned to bring positive changes according to the need of development in the country. It will help our country to show the talent of youths through their innovative businesses all across the world. There is need to spread awareness about this programme in all the institutions including Indian Institutes for Technology, central universities, Indian Institutes of Management, etc so that they can be connected live through this scheme in future. In order to put some direct emphasis on the youth entrepreneurship and new job creation opportunities for the youths, Prime Minister Narendra Modi has announced the complete action plan of this initiative on 16th of January in 2016. According to this scheme, companies will be given incentives so that they can generate more employment. Start up India, Stand up India campaign is launched to promote the bank financing for starting business by the youths (especially women, Dalit or Adivasi). PM had announced about this campaign in his speech on Independence Day 2015. This initiative is planned by the government to encourage Dalits, Adivasi and women towards entrepreneurship. There is facility of incentives for manufacturing units to generate more jobs. Such initiatives are warm welcomed as they are very necessary to enhance the economic growth, betterment of people’s lives and making India a developed country. Startup means youths of the country who have ability to standup India however need some help by the government. This programme is a big help to all the talented startups to look so far to lead India. At least one dalit or tribal entrepreneur and one woman entrepreneur will be supported by each of the 1.25 lakh bank branches in India. Prime Minister, Narendra Modi, had announced earlier on 15th August 2015 about a new campaign called as Start-up India Stand-up India. This campaign was launched with its complete action plan on 16th of January in 2016 by the Modi government. This is a scheme which will promote bank financing for start-ups means youths of country. It will also offer incentives to them in order to boost entrepreneurship and job creation in the country. This programme is a big step taken by the Indian government regarding development in India by encouraging entrepreneurship among youths. According to this scheme, each of the bank branches will support at least one Dalit, Adivasi and women entrepreneur in order to easily encourage them. It will be proved very effective scheme in the development of India as it encourages and enables start-ups of the country who have strong mind and innovative ideas (necessary to bring nation on the new track). This initiative will be proved a new dimension to the entrepreneurship and help new comers in setting up their businesses as well as make a live network of start-ups through connection. Highly skilled and multi talented youths of the country will be completely benefitted through this campaign and able to generate new jobs. This campaign is the result of commitment of Modi government to make India a developed country by 2022 with the availability of house, electricity, job and other basic needs to all. Start-up India Stand-up India is an initiative launched with its complete action plan on 16th of January 2016. However, this scheme was announced earlier by the Prime Minister Narendra Modi during his Independence Day speech in 2015. This programme is a new gift of year 2016 to the young people by the Indian government. It will help them to set up their new businesses or innovative projects. In this way, almost all the youths of country will be encouraged and use their new innovative ideas to create job. It will be proved much helpful in improving the economic growth of the country and career growth of the youths. 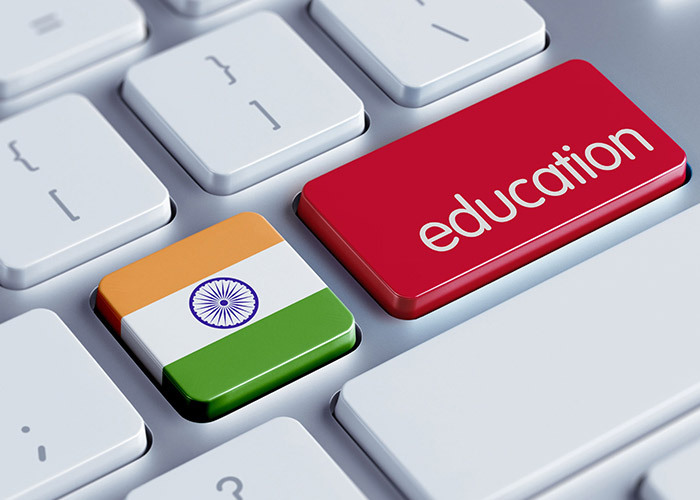 This initiative seeks the participation of almost all the major higher educational institutions in India through the online connectivity in order to be successful. This programme will help India to be a start-up capital of the world. The complete action plan of this scheme has been launched with the launch of Start-up India Stand up India campaign. Establishing a high-level, inter-ministerial panel has also been planned to create a friendly ecosystem to look after the innovation as well as evaluate startup proposals to ensure that whether they are qualified for incentives or not. This initiative is an effective effort by the government to assist startups in starting new business ventures especially those with innovative ideas and skills. It will help in improving the status of small and new entrepreneurs as well as creating new job opportunities for others. PM Modi has requested to each banks to support at least one dalit and one woman entrepreneur in opening their business. There is no lack of talented and skilled youths with innovative plans in India however they need some effective support to be encouraged and go ahead without fear of getting failed. All the IITs, central universities, IIMs, NITs and other institutions of India were live connected to each other for the successful launch of this campaign. India is a country of many great legends who were famous all over the world because of their works, sharp mind and high skill. However, our country is still on the developing track because of the lack of some solid support and ways to work in right direction. Youths in India are very talented, highly skilled and full of innovative ideas. This scheme is a big help to them to go in right direction using their new and innovative ideas. A new campaign named as Startup India, Standup India was announced by the Prime Minister Narendra Modi during his speech on Independence Day 2015. This is an effective scheme launched on 16th of January 2016 by the Modi government to help youths of the country. This is an initiative by the Indian PM to give opportunities to the youths to become industrialists and entrepreneurs which need the establishment of a startup network. Startups means youths of the country will be supported through finance from banks to strengthen those startups better so that they can create more employment in India. This programme is a big start to enable startups through financial support so that they can use their innovative ideas in right direction. PM has also requested to all the banks to support at least one dalit and one woman entrepreneur. This scheme will motivate and promote new comers towards business and grow their career and economy of the country. A complete action plan of this scheme was launched on 16th January 2016. This scheme will boost entrepreneurship in the country at grassroots level ensuring youth benefits from the lowest strata of society. Youths have fresh mind, new ways, and new thinking so they are better to support as startups. Various IITs, NITs, central universities and IIMs of India were connected through the live connectivity during the successful launch of campaign. The main aim of this scheme is to promote bank financing as well as offer incentives for start-up ventures to boost the entrepreneurship and new job creation techniques among them. This initiative is the necessity to lead India in right direction. The most important point about this campaign is that it involves youths of the country as start-ups as they have fresh mind, innovative ideas, required strength, energy, skill, and new thinking to lead business. Youths are the energetic and highly skilled section of the society so they are better target for this campaign.